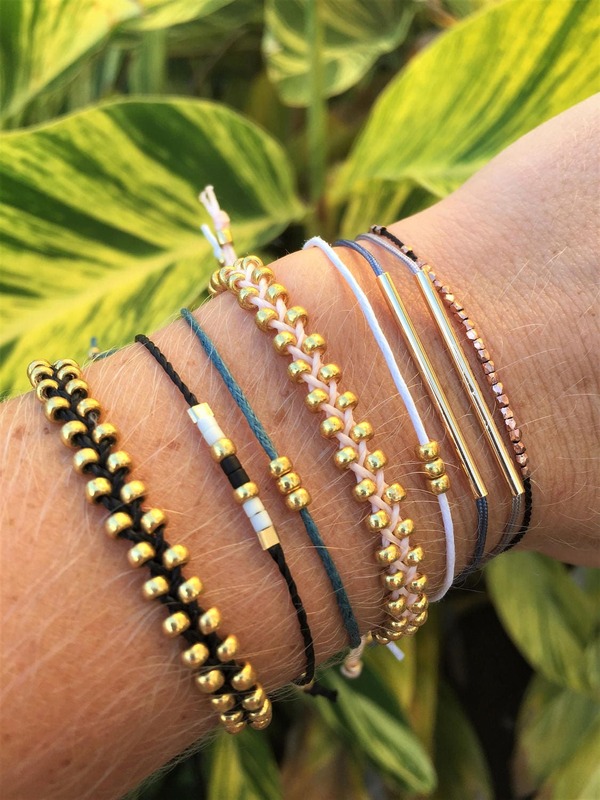 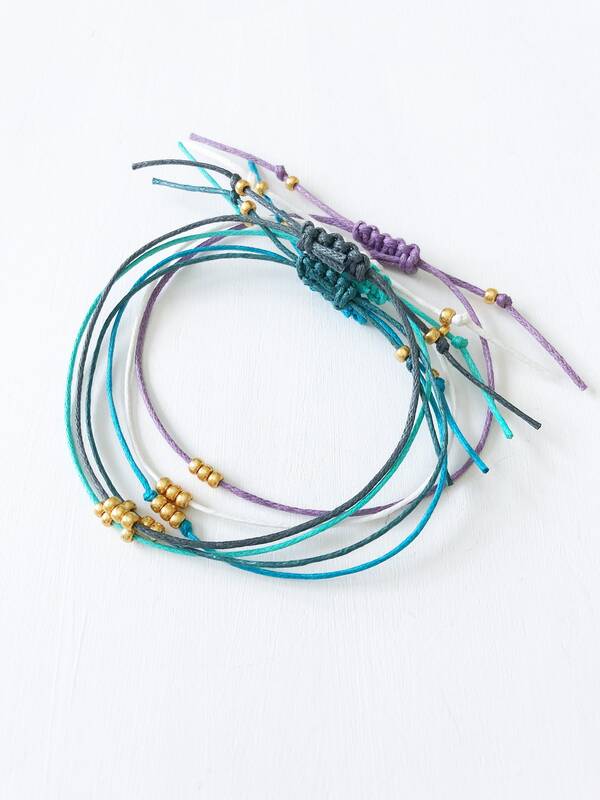 Add a little sparkle to your wrist (and life) with the gold beaded stacking bracelet! 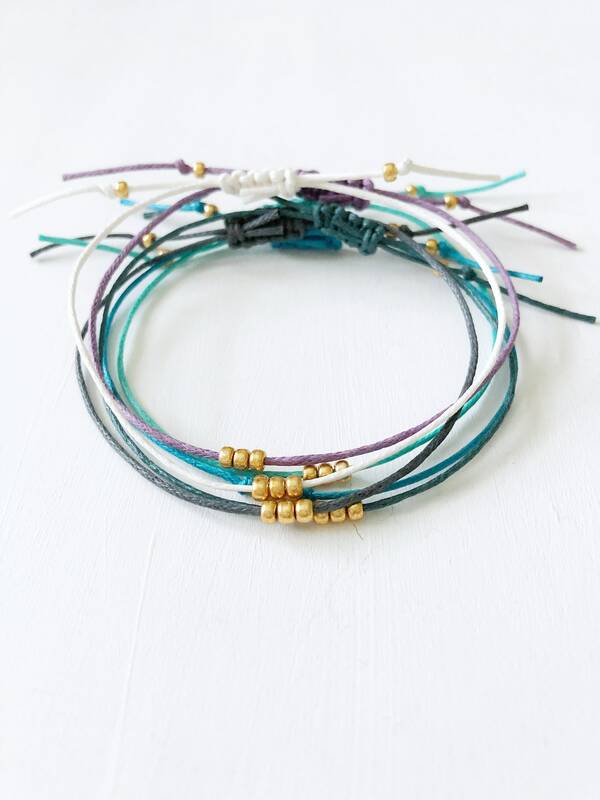 It creates the perfect carefree beach look whether you wear it alone or layered with others! 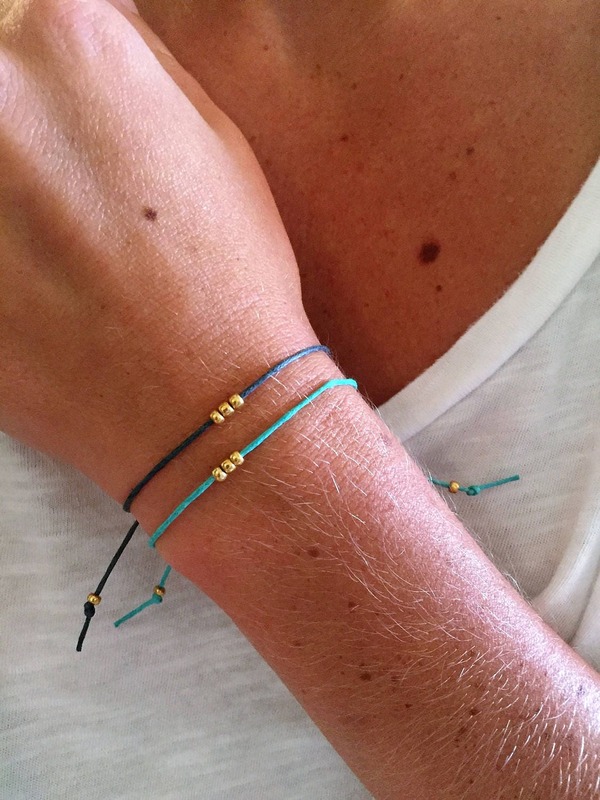 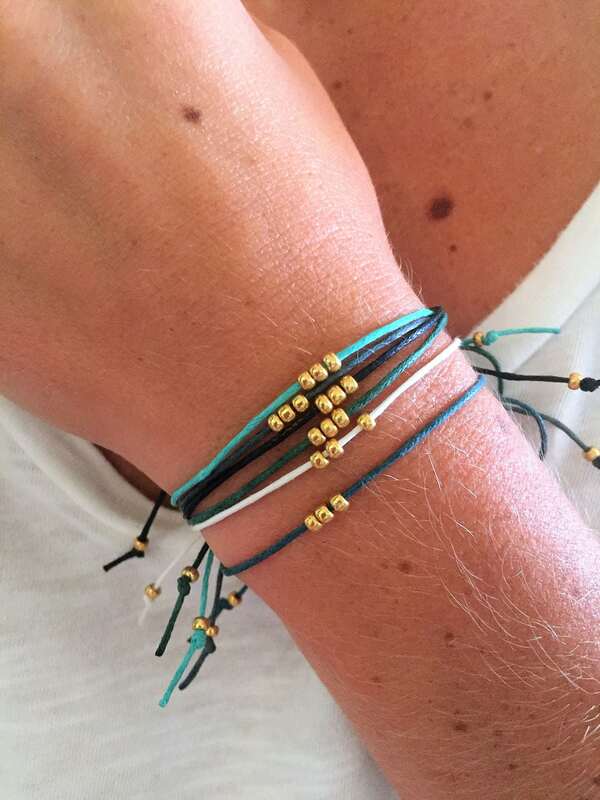 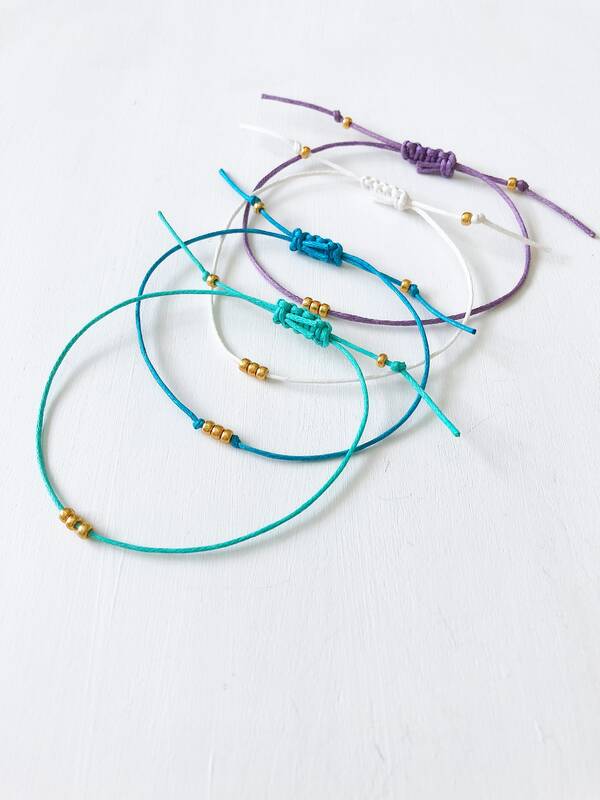 A minimalistic bracelet made with lightly waxed cotton cord and 3 Miyuki gold seed beads. 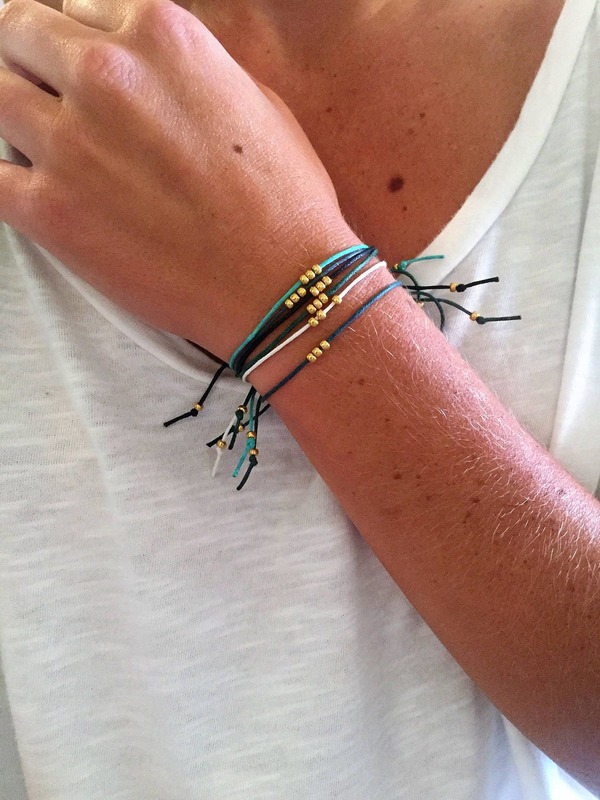 The bracelet is made adjustable with a sliding knot closure and the ends are finished off with the same Miyuki gold seed beads. 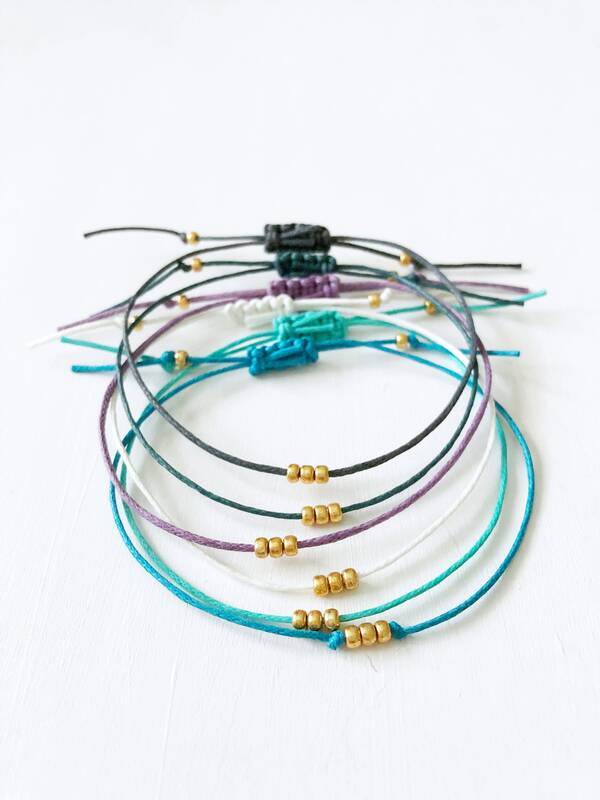 You can choose if you would like your seed beads secured with a knot on each end or left unsecured (as shown in the 5th photo). 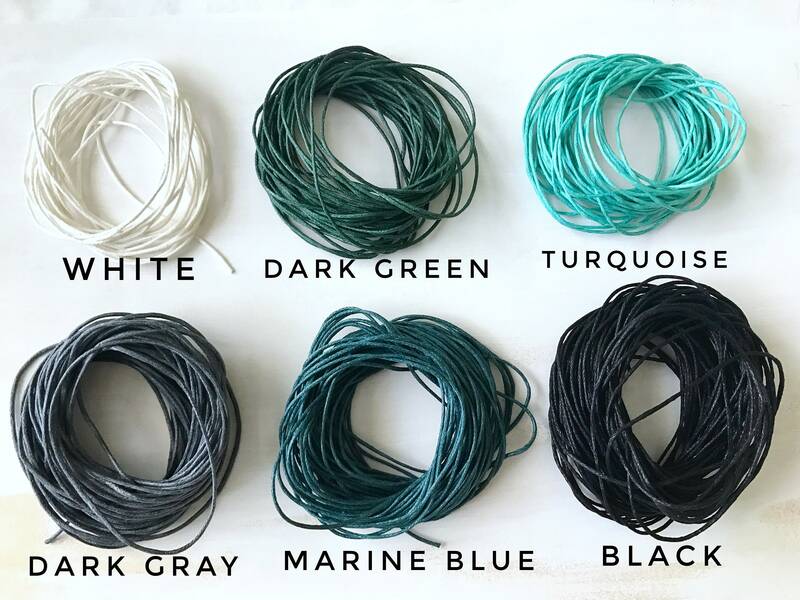 **Please note that two additional colors (lavender and bright blue) not shown in the last thread picture are also available to choose from. 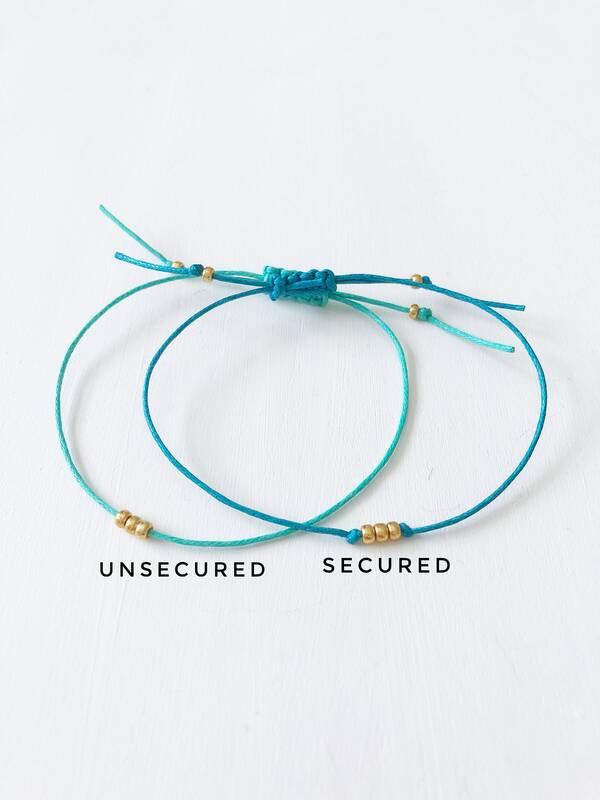 The bright blue thread is seen in the 5th picture under the "secured" caption.